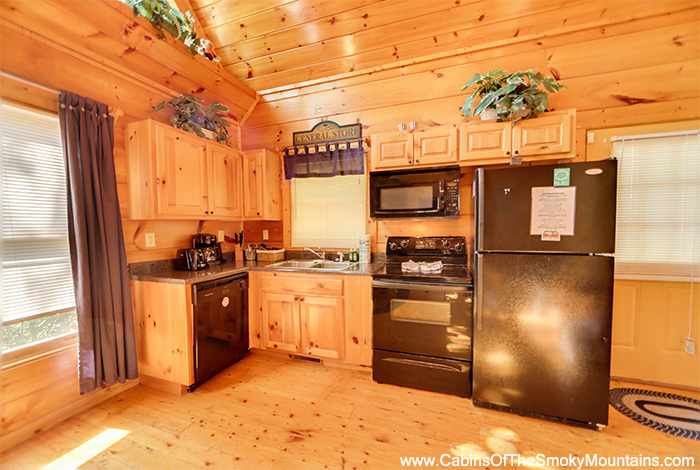 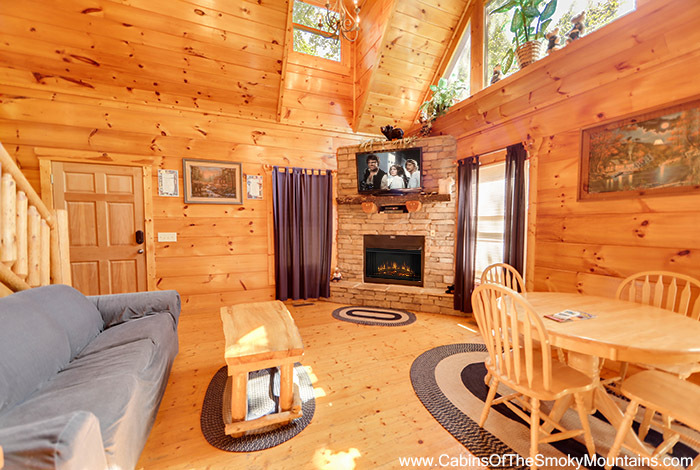 Enjoy the views from the large windows or from either of the decks at the cabin. 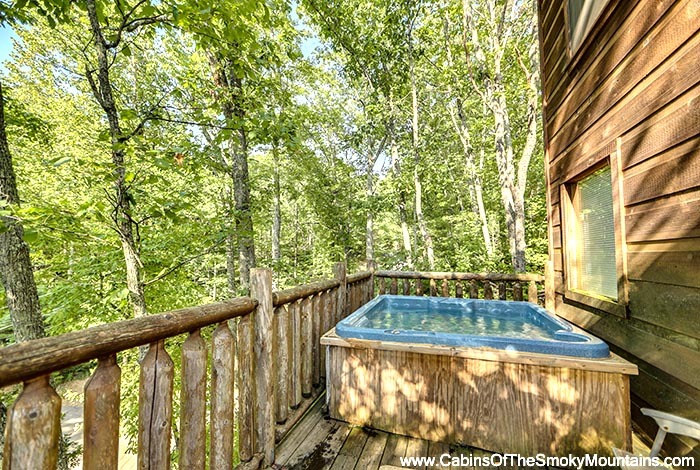 Relax and unwind in the hot tub while gazing at the mountains. 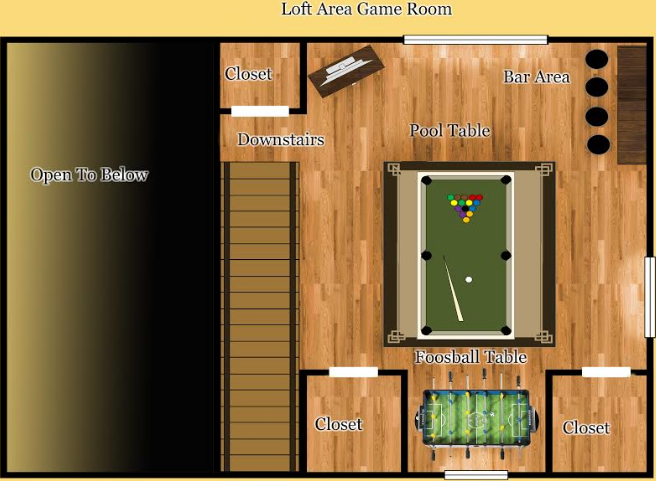 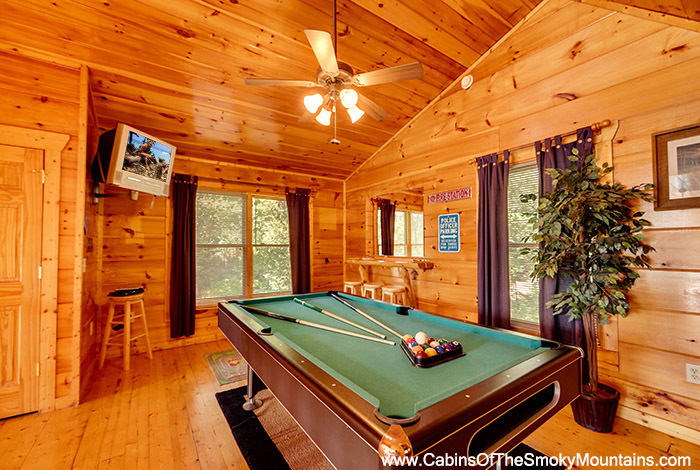 Challenge yourself with a game of pool or enjoy the serenity of the rocking chairs on the deck. 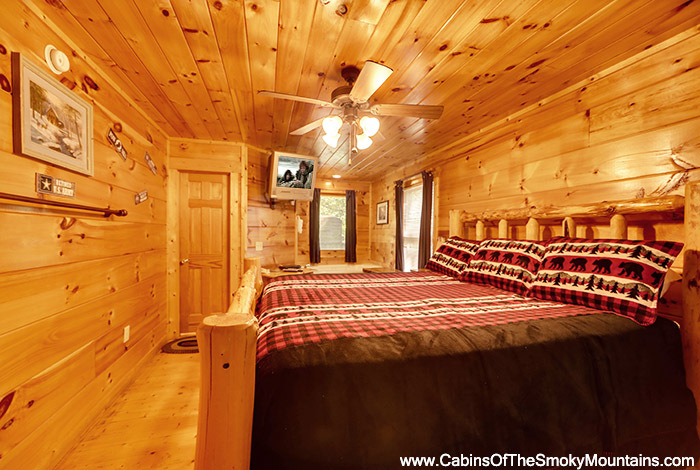 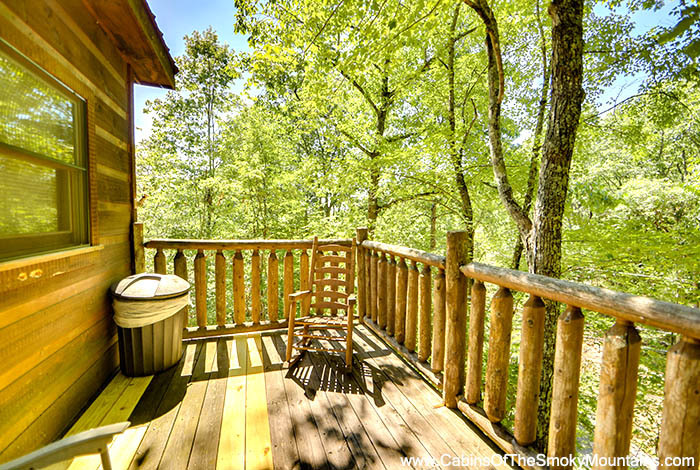 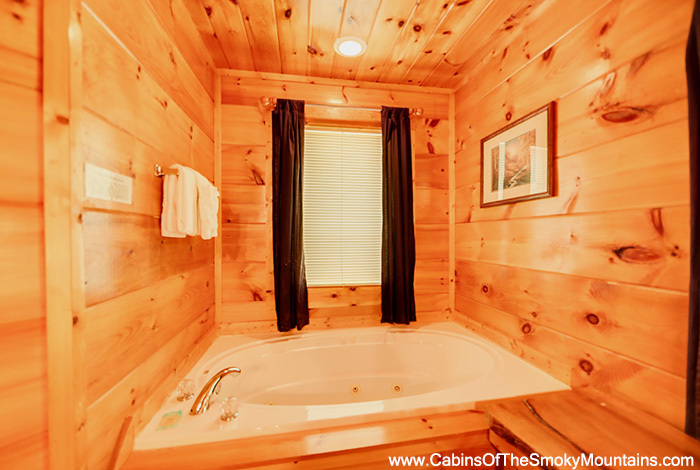 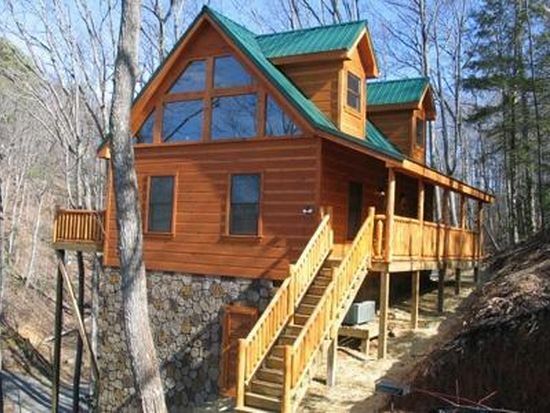 Huddy Bear Hideaway can accommodate up to 6 people is just minutes away from all that Gatlinburg and Pigeon Forge have to offer. 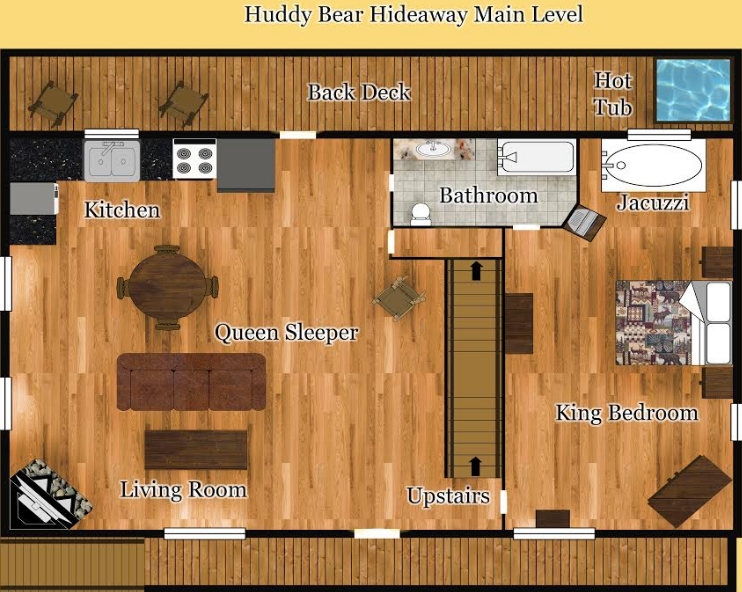 Enjoy shopping, hiking, exploring, or just relaxing and taking in the sites while experiencing the vacation of a lifetime in Huddy Bear Hideaway.